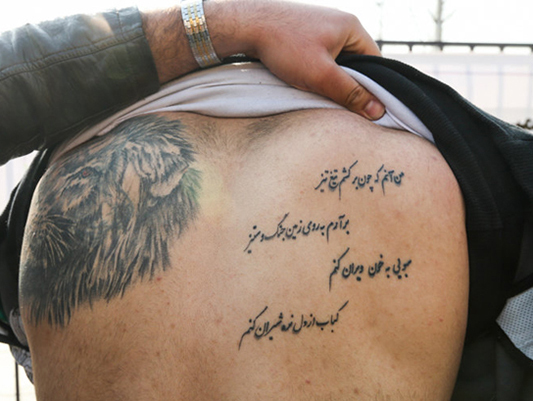 Is Tattooing a Crime in Iran? Home Legal Law Is Tattooing a Crime in Iran? Many Iranians consider tattooing a disagreeable act; however, the country’s laws and religious rules don’t forbid it except in particular conditions. Based on their culture and customs, the majority of Iranians regard tattooing as an anti-value act. However, Iran’s law has not devised any punishment for this traditionally indecent behaviour. According to a Farsi report by Jomhouri Eslami newspaper, the only punishable tattoos are the ones that contain obscene or nasty images on the face or the visible parts of the body such as hands and arms. Those who have these types of tattoos will be charged of hurting public chastity. Religiously, the majority of jurists believe that tattooing is forbidden if it physically harms the person, endangers his health or contains obscenities; it is allowable otherwise.